"There isn't any line. The only line is the one you draw yourself." - Gidget Bill Roberts had a history of messing things up. Things with his poor dead mama, for one. For another, the firecracker stand job he was planning with Fat Boy and Chaplin. And then there was his face, of course. When Bill finally crawled out of the swamp that day, his face was swollen to unrecognizable with stings and bites. Bill's disfigured face and lack of smarts only serve to attract John Frost, manager of the Oddities of the World carnival and freak show. Bill fits in nicely with Double Buckwheat, Bim, Potty and the other carnival freaks. Frost runs the show with a beautiful blonde bombshell Gidget, a woman so desirable she can persuade Bill and the rest of the Oddities crew into doing just about anything. Before Bill knows it, he's wrapped up in a dark scheme that threatens to burn everyone involved. 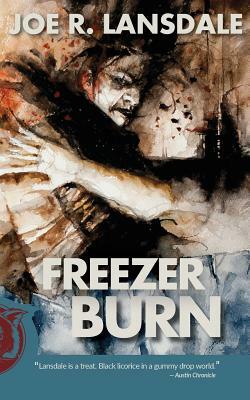 Freezer Burn will have you rooting for the underdogs, and cringing at the behind-the-scenes horrors of the freak show.